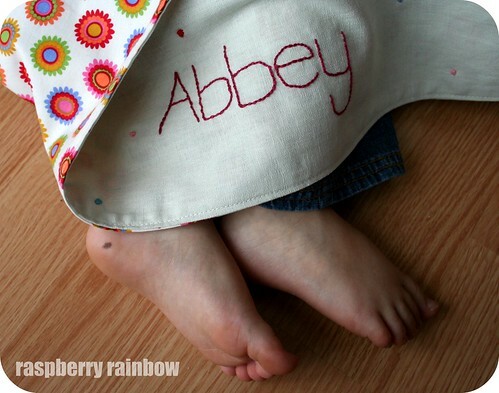 In My Creative Space this week, I have been finishing Abbey's kinder blanket. Her name is a little wonky, the "A" especially. Why do I feel that the letters in her name have to be perfectly formed? It is all about embracing the wonk, isn't it? It is home made after all, I have to keep reminding myself. The proof is in pudding, she loves it. I was inspired to make one of these blankets after seeing this gorgeous version. Fabulous idea from this lovely book. Have a lovely Thursday checking out all the Creative Spaces. I looooove that fabric - where did you find it? I think it turned out beautifully. Her name looks great! Beautiful! 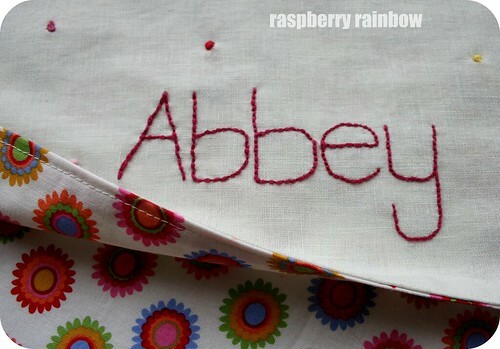 Love that you have stitched her name on it! 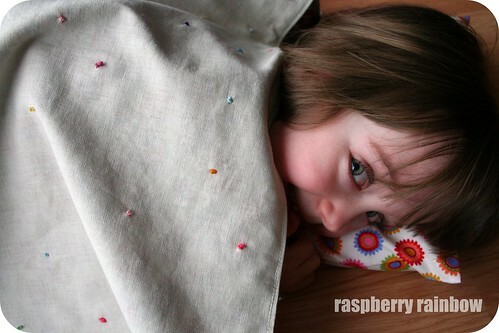 What a beautiful blanket - your stitching is fantastic! Gorgeous blanket. 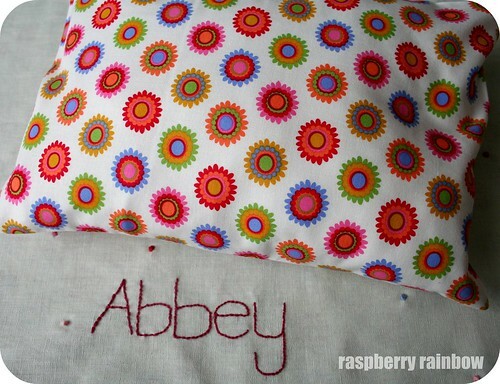 I can see she already loves it, and doesn't care that you think the stitching is wonky! Beautiful! 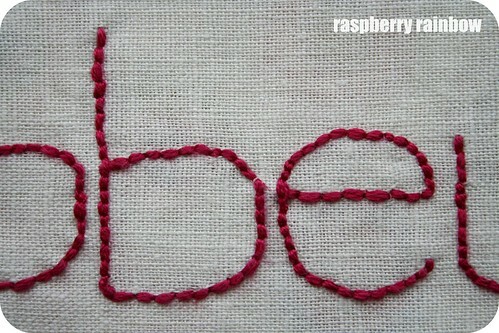 Such sweet photos too : ) Lettering doesn't look wonky to me! You are right the proof is in the pudding. To judge by the smile of your cute little daughter you did the best job ever!